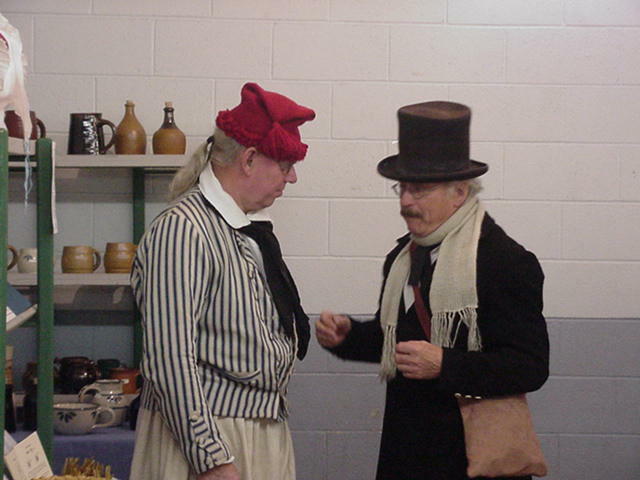 During the fall, winter and spring months, many of the historical artisans and merchants gather at indoor trade shows. This is an opportunity to visit with them, see their products up close and get the things you need for the summer season. 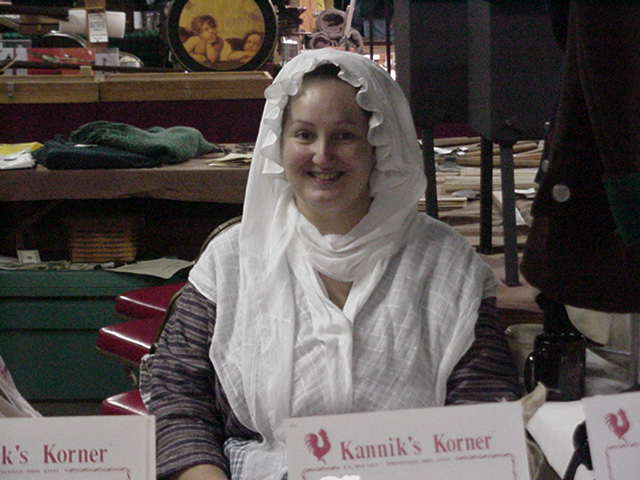 It is also a time to get the supplies to use during the "slow" time so that you can make your own period clothing. Kannik's Korner patterns are available from merchants at these shows, and we may be set up at some as well! Some of the shows we know about, are listed below. For more information and confirmation of the show dates, times and admission price please contact the sponsor directly. Disclaimer: We have no authority over these shows, and only list them for the benefit of our web site visitors and customers. We assume no responsibility, or liability, for the business practices, or products, of companies or organizations involved with these shows, either directly or indirectly. We recommend that you inquire with each company as to their policies prior to doing business with them, and/or to the by-laws, practices, safety regulations and membership requirements prior to joining them. This event kicks off the living history season in Ohio. It is a great cabin fever cure! Contact Smiling Fox Forge for more information. This is a very nice facility, and a good place to shop, learn and meet with other living history enthusiasts! Kannik's Korner may be set up at this event. Please stop by our table and let us know you saw it on our web site! Show sponsored by The Stitcher's Cabin. This is the largest and oldest (?) indoor living history tradeshow in the Midwest US. Eras Pre-1890s. Annual themes, speakers and programs, in addition to shopping. 2900 Lake Street, Kalamazoo, Michigan. Get all the details at their web site. Please check "Smoke and Fire News" for calendars of events. Visit Smoke and Fire News for info and subscriptions.